It was and is utopian to think we could “ban the bomb” in the 1960-70s or now. That does not make doing so any less essential. 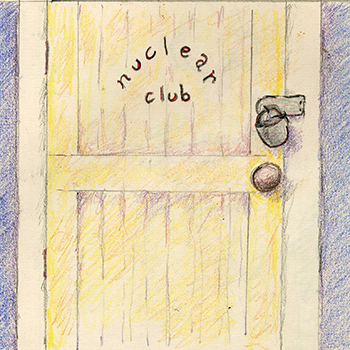 The nuclear weapons club has grown and probably will continue to do so. The current issue of the Bulletin of Atomic Scientists features a jaw-dropping report by several leading nuclear analysts that details how the U.S. Energy Department’s Stockpile Stewardship and Management Program has provided cover for enhancing warheads with “super-fuze” detonation technology in a way consistent with building a first-strike capability. The new warheads are most alarming from Moscow’s view, and thus most destabilizing, when fitted onto submarine-based missiles within range of Russia’s land-based silos. Two out of three categories of weapons of mass destruction – biological and chemical weapons – as well as landmines and cluster munitions already have strict conventions that largely ban them, notwithstanding some non-compliance. But strictly speaking, the use of nuclear weapons – arguably the most destructive of them all – is currently not necessarily prohibited under international law. Utopian is not the same thing as naive and cynical. It would be naive and cynical to think that the admittedly small but nonetheless many steps being taken and the resistance movements that promote the control or elimination of nuclear weapons have no effect. To be sure, we seldom hear about them today. To our mind, it is significant that the nuclear disarmament issue has had little or no broad-scale political resonance in the last few decades, eclipsed perhaps by climate change. Little known and virtually ignored by the media is the fact that in July 7th, approximately 120 countries will meet in NYC under the auspices of the United Nations to take what they hope will be a positive vote for a new Treaty that calls for the elimination of all nuclear weapons. Nothing is ever straightforward, despite rhetoric to the contrary, even the issue of whether any and all nations should renounce nuclear weapons, let alone the significance of past Treaties or of the current initiative at the UN. This new Treaty on the Elimination of Nuclear Weapons was called for by the earlier Non-Proliferation Treaty. It has had a short history, from 2012 to now. There was a major meeting in May 2017 to discuss its principles and contents. The July meeting follows up. It is widely believed that the 120 countries supporting a new Treaty will have enough votes in the UN to get it passed. What is not yet clear (to be discussed in the July 7th meetings) is the content of the Treaty, whether for example, it will include any specific stages or any mention of verification or implementation plans for achieving compliance. Its UN proponent countries are clear-headed about their goals: “this treaty is about strengthening norms, nudging progress....”. The nuclear weapons club members (five of which are permanent members of the UN Security Council) are boycotting these talks and will not sign onto the new Treaty. Also thus far refusing to be part of the talks (and thus any new Treaty that follows) are most of the countries that operate under the US nuclear umbrella, including most of the NATO countries. Canada has thus far refused to participate. The list of matters to be determined (if determined is the right word) in any Treaty, report or meetings includes any of the following: nuclear weapon-free zones, proliferation, nuclear suppliers, peaceful uses of nuclear and research, nuclear terrorism, testing, stages for implementation, dismantlement, inspection, verification, and, last but not least, victim protection and relief obligations in the event that all of this fails. The Treaties etc., such as they are, can be bilateral, regional or multilateral. They can include any one or more of these matters. Treaties, can have been fully signed onto and ratified by the signatory countries, or be currently in limbo, awaiting countries taking further steps. The most important of the nuclear-related Treaties is the Non-Proliferation Treaty (1968, but it came into force in 1970). 191 States signed onto the Treaty, including the five states with nuclear-weapon at the time. More countries have ratified the Non-Proliferation Treaty than any other arms limitation and disarmament agreement. North Korea originally signed on, but has since withdrawn: India, Pakistan, South Soudan and Israel and several probably nuclear-club countries never signed on. Several countries have now or have had nuclear weapons but currently indicate they adhere to the Treaty. The Non-Proliferation Treaty was due to expire in 1995, but was extended indefinitely, with the provision that it be reviewed every five years. There have been attempts to bring it up to date or amend it, but agreements to do so have never been reached. The next review is in 2020. A working paper already outlines the areas of contention as well as any progress made. The existing Non Proliferation Treaty reflects the geo-politics of when it was written, a time when there were five nuclear powers, no serious threat of a spread of nuclear weapons to ideologically and religiously motivated groups. It was the time of the cold war, and well before President Trump. At the time the Non-Proliferation Treaty was being negotiated, NATO had in place secret nuclear weapons sharing agreements whereby the United States provided nuclear weapons to be deployed by, and stored in, other NATO states. Some noted this was an act of proliferation violating the Treaty, but the USA argued that it controlled the weapons in storage within the NATO states, and this that no transfer of the weapons or control over them was intended "unless and until a decision were made to go to war, at which the treaty would no longer be controlling". Why not a new Treaty? The argument of the boycotters of the new Treaty has been: that the “good” countries will abide by the terms but the “bad” countries will not, thus increasing the danger by removing deterrence. Norway is one of the countries bailing on the process: Norway argues that this broad sweeping Treaty will make it more difficult to achieve smaller but more feasible goals under less comprehensive agreements still to be negotiated. Japan, another country that will not sign, says that the proposed Treaty would further the schism between those with and those without nuclear weapons. It would blunt constructive smaller steps in efforts to deal with North Korea. Perhaps there is a different kind of remedy for failure to abide by the Non-Proliferation Treaty. Consider the case of the Marshall Islands, a tiny country besieged by health problems and climate change. Here is where the US conducted its open-air testing of nuclear weapons, some fifty years ago. Today these effects are still very much being felt. The Marshall Islands is a member of the UN. Marshall Islands brought a case before the International Court of Justice against several countries including US, France, China, India, Pakistan and Britain, all of which are signatories to the Non-Proliferation Treaty. Its argument was that these countries were not pursuing a complete nuclear weapons ban, as is called for in the Non-Proliferation Treaty. Marshall Islands chose Pakistan and Britain because they are the only nuclear weapons club that have agreed to be under the jurisdiction of the Court. The Court, in a narrow decision in 2016, said that the Marshall Islands did not have jurisdiction to bring the action. In a future Backgrounder we will deal with The Marshall Islands and talk about its case currently at the Appeals level in the California courts, this time against the USA. A Treaty, once passed through all its many stages, becomes part of international law and legally binding. The new Treaty is said to “close a gap” in existing international law. However, while the words “international law” and “legally-binding” seem abundantly clear in plain language, unfortunately the UN and its member countries speak a different language. Call it UNtalk. The significance of the “eliminate nuclear weapons” can only be assessed if one “gets” the UNtalk. A brief attempt to decipher UNtalk might be useful. Much happens behind closed doors, where a hierarchy of UN joint technical committees, sub-committees and working groups lays out details and positions vis-a-vis the negotiations. Where such committees deal with highly technical issues (of which nuclear disarmament is a prime example), government representatives (either policy makers and/or regulators) are joined by or replaced with “experts”. “Experts” come from the major developed countries and sometimes include academic scientists. Mainly they come from industry, in this case the nuclear industry. The process is slow and painstaking, in part because there are so many perspectives, interests, details and political trade-offs involved. Let no one think that even the “expert” discussions are freed of national concerns and geo-political importance, even when scientists and engineers are involved. Assume that progress is made. Something resembling an agreement is reached. The agreement is never perfect. It reflects all of the push and pull factors one might expect. It becomes the basis for discussion of a potential Treaty or perhaps just a UN Resolution or maybe only an international standard. Meanwhile, at the “political level” (“political” here is UNtalk, not plain language), there is likely to be a broader base of participation (civil society groups and less influential countries (which may be part of voting blocs). Make no mistake about it. Industry trade and sector groups are involved here too. By the time a Treaty-ready document reaches the stage of being debated at a UN conference or meeting, and/or voted upon, the basic elements of an agreement are in place, even if debate takes place. Various countries register their support or opposition. Heads of State meetings rarely deal with details, and these meetings are often “decision-staging” events. That said, occasionally, a document is significantly changed by virtue of the debate at the “political” level. Here pressure, from industry and from civil society groups can be crucial. Generally, the UN works with a “modified consensus” principle. Consensus does not mean everyone agrees. It means only that those who disagree consent to remain silent (abstain) when the final decision is made. Countries can also boycott the whole process if they disagree with the basic premises. Treaties are, however, voted in by majorities, not consensus. Given that Treaties are formally “legally-binding” the debate is conducted as it were a legal drafting committee, notwithstanding the actual debates are in a political forum and the documents are often largely statements of principles, standards, deadlines for reporting and guidelines. Let us assume a Treaty passes: Not all countries voted yes, and some countries made it clear from the outset that they would not sign. Other countries voted yes, but Treaties have a definite timeframe within which countries must officially sign on. Countries (that voted yes) often not meet the deadline, and perhaps some of them never intended to do so. The deadline can be extended, but it is common for Treaties to go unsigned by many countries and thus not to come into force. Any Treaty has then to make it through a ratification process in each of the countries that has signed on to it. If it is to be effective, various policies in each ratifying country need to be changed to reflect the Treaty, and new funding is often needed. In short, signing onto a Treaty is a necessary but only a small first step in seeing it come into effect for the participating countries. The politics on the ground in most countries now are often fierce. Virtually all UN Treaties are built around some accepted general principles and guidelines, and most have defined stages for achieving compliance. Compliance means each stage is supposed to generate reports sometimes from independent assessors but more often from each country itself. Article VI of the Non-Proliferation Treaty arguably imposes only a vague obligation on all its signatories to move in the general direction of nuclear and total disarmament. The key phrase is “in good faith” According to some commentators, Article VI does not strictly require all signatories to actually conclude a disarmament treaty. Rather, it only requires them "to negotiate in good faith." In the case of some Treaties (the Non-Proliferation Treaty, for example) there is provision to launch a case with the International Court of Justice for non-compliance. Keep in mind that not all countries (n.b. not the USA) have agreed to recognize this Court. Note also that cases can be brought only if the Court is deemed to be an appropriate jurisdiction for both the party bringing the action and the party being prosecuted. Even if a country signs onto the Treaty (and even if it ratifies it), it can later withdraw. Moreover, even were there to be a Treaty on the Elimination of Nuclear Weapons, no Treaty yet has precluded countries using nuclear for “peaceful purposes” or carrying out nuclear-related research, even if its facilities or its access to resources allows for conversion of peaceful uses to the production of weapons. Even granting that they are written in UNtalk, any layperson can tell that the UN documents are full of hedges, prescriptions and admonitions, in many cases with little solid to stand on. Participants “stressed the fundamental importance of...” The necessity of something was “underlined” or “looked forward to...” Countries are “encouraged to...”. Points are “emphasized” and “reaffirmed”. The phrases: “based on the principle that...” and “called upon to discussed the relevance of...” are commonplace. Arguments are “noted” or “supported”. Negative views about compliance are expressed in terms of “deep regret”. “Continued calls...” are made and steps are “welcomed...”. Points are “underscored”. Previous discussions are “recalled” and countries are “urged..”. Many points are “reiterated”. It would be easy, given the UNtalk typical of such documents, to dismiss the new Treaty calling for the Elimination of Nuclear Weapons as inconsequential, notwithstanding the broad support it has garnered. But this seems short-sighted in light of the continuing pressure in the opposite direction, i.e. pressure for dismantling even the modest controls that now are in place. A Treaty is a statement about a stance of a majority of countries. A Treaty serves as a benchmark of world opinion even for countries that do not sign and certainly for civil society groups who use them to exert pressure on governments. The Treaties exert a push on governments to explain why they have not signed on or fulfilled their “obligations”. The compliance reports are onerous and demand commitment if they are to be produced, doubly so if there are independent inspectors. Shame is not inconsequential in the international arena. A Treaty can aim to stigmatize. Treaties are International law. Treaties lay the basis for sanctions against particular countries or Security Council actions. The UN can institute other programs and projects in fulfillment of the principles in a Treaty. It will assign staff to facilitate compliance and reporting. The public aspect of Treaty-making raises the political profile and salience of any issue, making it easier for countries positively inclined to act, a crucial factor in the case of nuclear weapons. Many countries do act – not all of them and not always with gusto - but nonetheless they tend to take their Treaty obligations seriously. Presume that the Treaty on eliminating nuclear weapons is wending its way towards a decision. It is likely to be long on principles and short on details and schedules for implementation. It is moving too fast through the process to be otherwise. Assuming this new Treaty passes and is followed up by the countries that voted for it, five of these eight positive effects will apply, but three of them will not. So yes, the glass still is at least half empty, but now possibly (despite everything going on in the world) it also it looks to the Bulletin of Atomic Scientists among others to be half full. In a world full of reasons to despair, it is one reason not to. Source material: Various UN documents and working papers, The Nuclear Weapons Convention, various documents from the James Martin Center for Non-Proliferation Studies (NTI site), the Preparatory Committee for the 2020 Review Conference of the parties to the Treaty on Non-Proliferation of Nuclear Weapons (NPT / conf.2020/PC.I/CRP.3), several articles from the Bulletin of Atomic Scientists, Arms Control Association and various anti-nuclear groups websites, Huffpostnews and wikipedia. Note: Source material for previous Backgrounder on Brexit was conversations while in the UK, various news reports in UK, the Guardian, and especially Ian Dunt, Brexit: what the hell happens now? Canbury Press 2016.